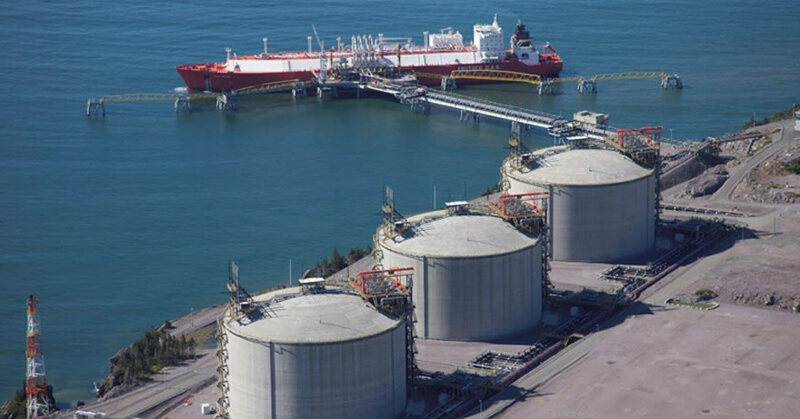 Canaport LNG started the construction of a state-of-the-art Liquefied Natural Gas (LNG) receiving and regasification terminal in Saint John, New Brunswick in late 2006. Canaport LNG is a Canadian-based joint energy project owned by Repsol YPF and Irving Oil. The project began operations in the second quarter of 2009 and is the first LNG regasification plant in Canada. Canaport LNG terminal was completed in June 2009. The LNG storage tank, which Canaport announced in September 2007, was completed in April 2010. The Canaport LNG project is estimated to have cost C$756m. In 2006, Gardner Electric joined the contracting team of SNC Lavalin on this project where we provided the temporary power infrastructure for the entire site, this included the supply and installation of overhead power lines (12.47KV to 600V), power to the SNC project office complex, power for the crusher unit, power to the cement plant, temporary power skids throughout the site that ranged from 1200Amp three phase to 100A three phase and maintained an average of a 20 person crew to maintain the support for the construction activities for all trades. In 2007, Gardner Electric was awarded the first electrical contract for this project by SNC Lavalin. Our professionalism, safety record and ability to maintain scheduling and productivity enabled us to grow the project from 20 electricians to 250 electricians with a specialized management team. Throughout the course of this project Gardner Electric worked with multiple subcontractors where we jointly completed contracts such as the High Voltage (69KV to 15KV) switchyard, installation and commissioning of high voltage, medium voltage and low voltage switchgear. Jointly worked with a security subcontractor to provide a plant wide state-of-the-art security surveillance system. A commissioning team was provided by Gardner Electric where we worked closely with SNC Lavalin consulting team to commission the plant. Gardner Electric was committed to building a long-term relationship on this project that was based on integrity, performance, value and client satisfaction. We strived to provide a level of service that exceeded the expectations of our clients while maintaining the highest level of quality and instilling confidence with all parties by professionally managing all aspects of this project. Responding to the need for diverse capability, Gardner Electric concentrates expertise within four well-defined sectors: Major Industrial, Industrial, Institutional, and Commercial.